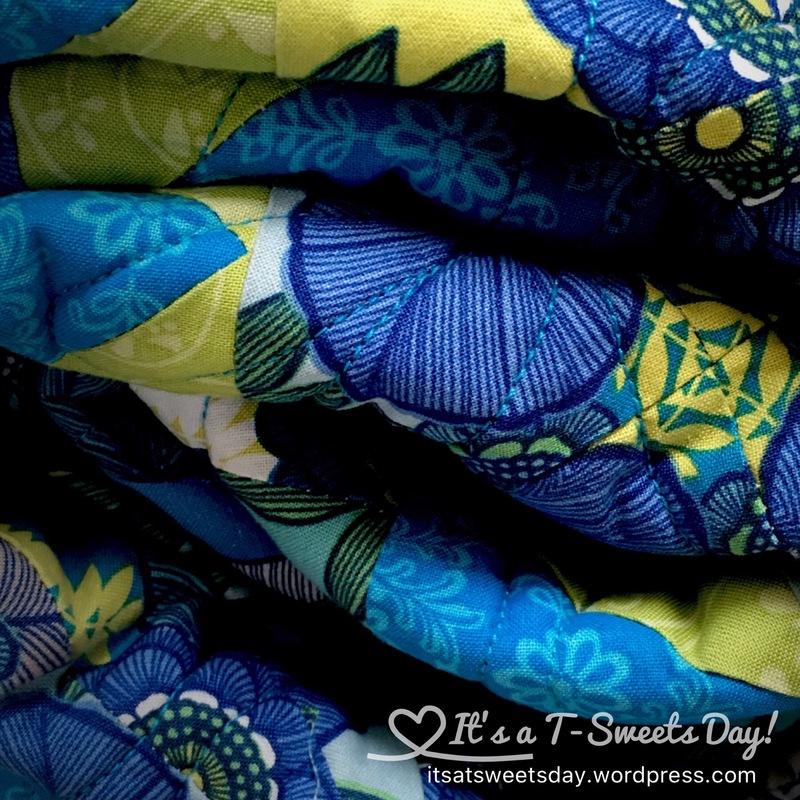 Another Niece- Another Wedding- Another Quilt:) – It's a T-Sweets day! 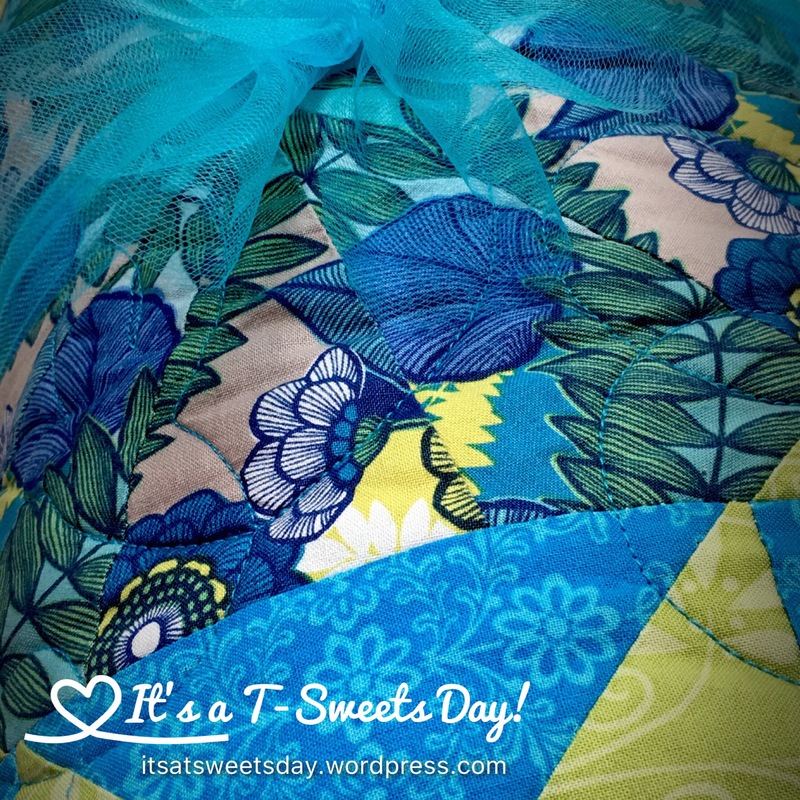 Published on August 19, 2016 August 19, 2016 by Tracy @ It's a T-Sweets Day! This is my beautiful niece and her very handsome fiancé. Aren’t they just beautiful? 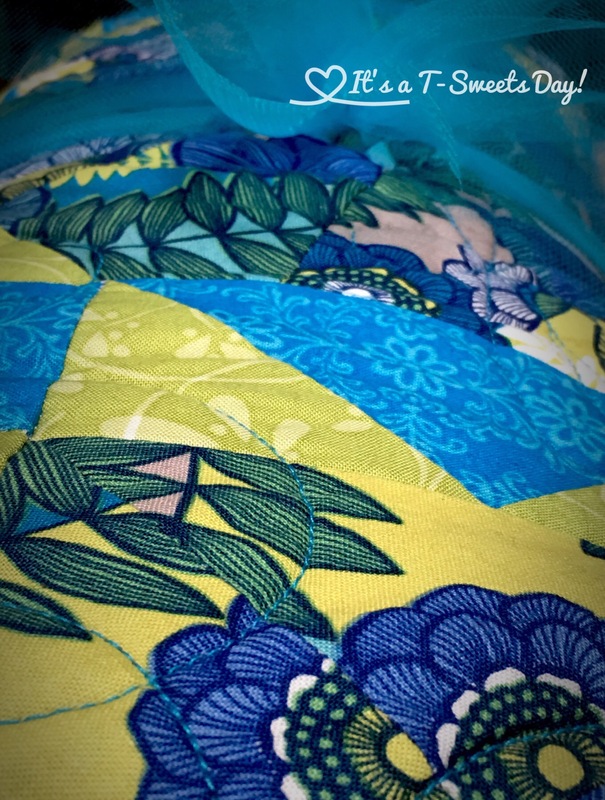 When she announced they were getting married, I immediately knew that I was going to make a blue and green quilt because she is a swimmer and loves water. I used a large scale print, stacked it and cut it with a kaliedescope ruler to make these fun spinners throughout. 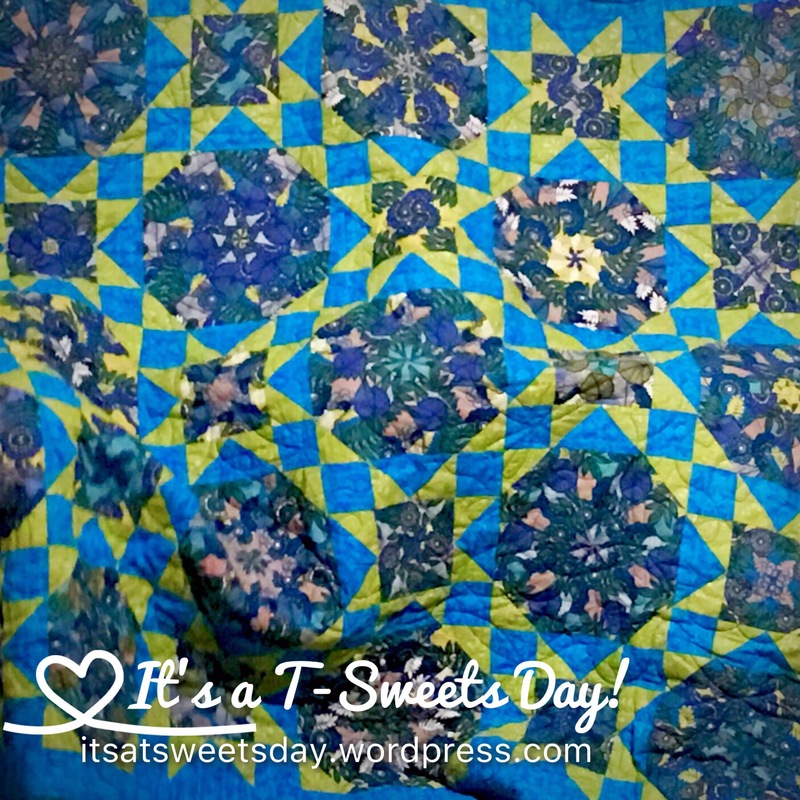 I had to make up my own pattern based on a picture of a quilt designed by the amazing Linda Miller on Flickr. She doesn’t have a book or patterns, so I figured I would make it up. I couldn’t be happier with the result! I wrapped it up with a fun blue bow and took it to the shower in Albuquerque. Oh the things we do for family, right? I am very happy with how this quilt turned out. It is totally SWEET! Love it!! 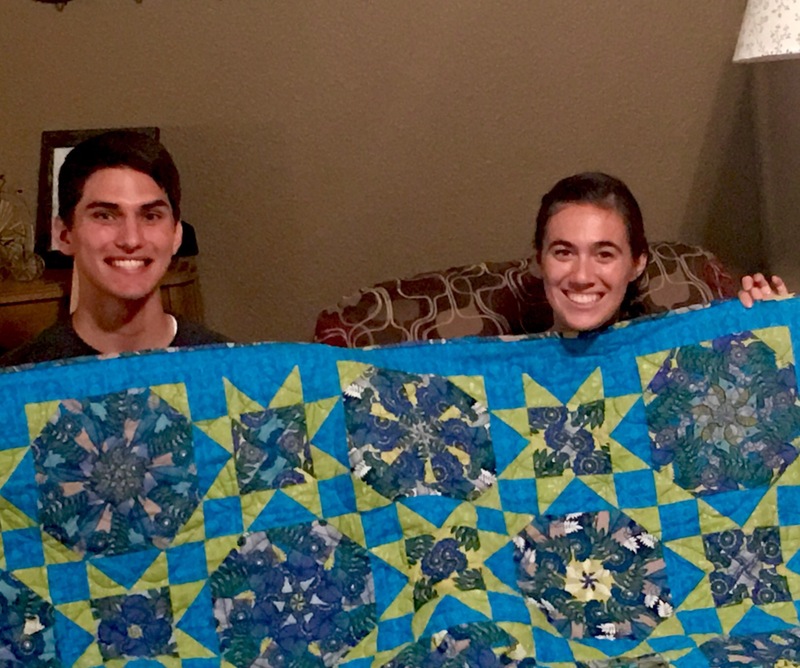 Gorgeous quilt for a gorgeous couple:)!